Finland-based Nigerian and former Vice President of Nokia, Mr. Nick Imudia, has been named the Chief Executive Officer (CEO) by the board of Konga, Nigeria’s leading e-commerce giant, reports ITRealms. Imudia assumes office on April 3rd, 2018 with a clear mandate to deliver Konga as number one e-Commerce company in Africa. Imudia recently left TCL/Alcatel where he was the Regional Director, responsible for Nigeria and Central Africa Operations. Before joining TCL/Alcatel, Imudia was Managing Director, Nokia West and Central Africa, a thriving concern which remains a world leader in Mobility, driving the transformation and growth of the converging Internet and Communications industry. For almost 17 years, the widely-travelled Imudia worked in Nokia, managing operations in Asia, Europe and the Americas in the areas of sales, marketing, capability development, management systems, operational excellence, IT and process management. 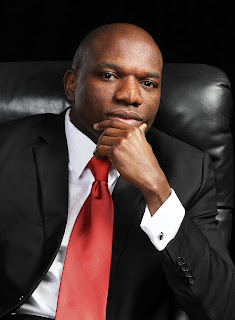 His core experience across several management functions including online commerce, among others will come in handy in steering the Konga brand to greater heights. Imudia holds a Bachelor of Engineering in Industrial Management from Mikkeli Institute of Technology, Finland; a Master of Engineering in Oil and Gas Technology Management from Aalborg University, Denmark and an MBA in International Business Management, Haaga-Helia Business School, Finland.